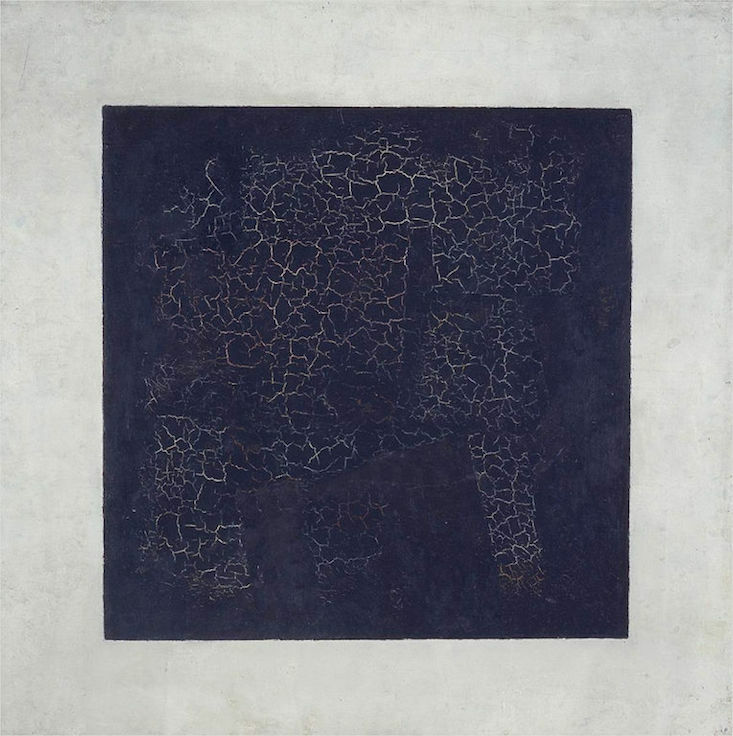 Two coloured images have been discovered behind Kazimir Malevich’s famous Black Square painting. “The original composition is Cubo-Futurist, and that found directly beneath Black Square […] is proto-Suprematist,” a researcher from the Department of Scientific Examination at Moscow’s Tretyakov Gallery, Ekaterina Voronina, told the Kultura television channel today. In addition, with the help of X-rays, specialists at the museum uncovered an inscription, also believed to be by Malevich. The researchers have as yet been unable to confirm the exact wording of the phrase. Three letters are missing from a word beginning with “N” and ending in “ov”, but it is thought to read “The Battle of the Negroes in the Dark Cave”, in reference to The Battle of the Negroes in the Deep Dark Cave at Night by French painter Alphonse Allais. Ms Voronina revealed that the discovery was made a month ago. Black Square (1915) is the most famous work by artist Kazimir Malevich (d.1935), the creator of the Suprematist movement.